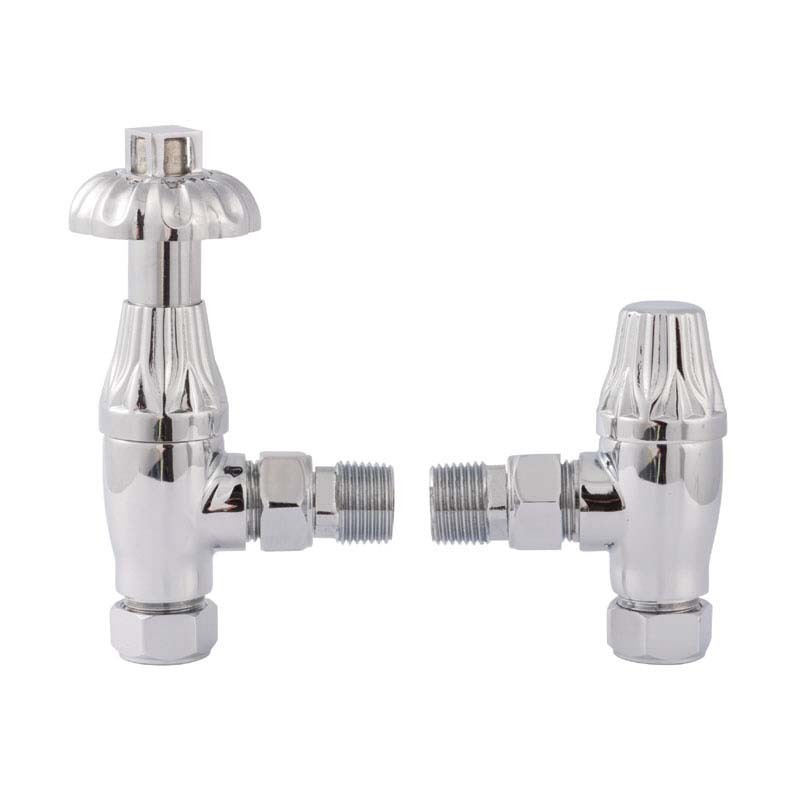 A traditional design, this angled thermostatic rad valves and lock shield is the perfect complement for any traditional bathroom. In an eccentric style, this Hudson Reed product seamless provides a timeless elegance to your bathrooms appearance. Made from the finest materials we can guarantee you a resilient and durable bathroom accessory. To flawless blend your traditional décor together this product is finished in a chrome colouring, which seamlessly captures the essence of a previous time. Complete with a 20-year manufacturing warranty to ensure a stress-free product.